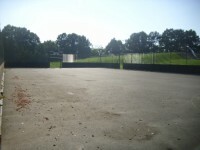 Services / facilities within the grounds include a play area, tennis courts, skate park, Sandhurst Town F.C, Sandhurst Cricket Club, community hall, and Sandhurst Parish Council. 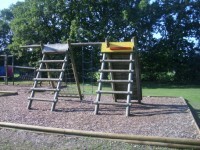 This venue is situated in Sandhurst. The nearest mainline station is Sandhurst. There are 4 designated parking bay(s) within the car park. 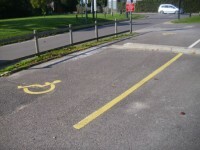 The dimensions of the designated parking bay(s) are 300cm x 500cm (9ft 10in x 16ft 5in). The maximum height is 200. 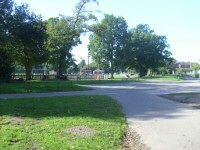 There are easy and moderate slopes throughout the memorial park. 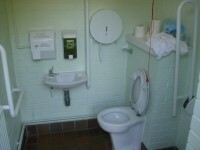 This accessible toilet is approximately 20m (21yd 2ft) from the car park. 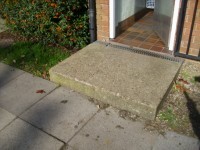 This accessible toilet is located next to the Sandhurst Council Building. There is not level access to this accessible toilet. The key can be obtained from Sandhurst Council reception. The dimensions of the accessible toilet are 176cm x 166cm (5ft 9in x 5ft 5in). The lateral transfer space is 84cm (2ft 9in). 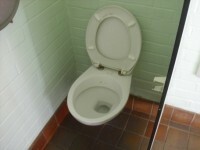 The height of the toilet roll holder is 110cm (3ft 7in). 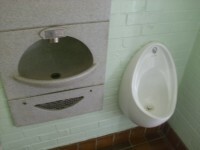 The height of the wash basin is 78cm (2ft 7in). You are on Level Change (Accessible Toilet). Skip to the next section. 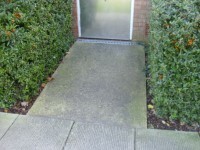 The ramp/slope is located in front of the adapted toilet. The female and male toilets are located to the side of the Sandhurst Council Building. 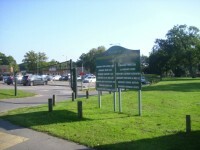 The female and male toilets are 28m (31yd) from the car park. Inside the venue, there is not level access to the female and male toilet. You are on Level Change (Standard Toilets). Skip to the next section. The ramp or slope is located in front of the female toilets. The steps are located in front of the male toilets. There is / are 1 step(s) to the area / service.